Q. What makes your dress ups stand out above the rest? A. Glad you asked! Our customers return again and again for our offered products for many reasons. Uniquely, the dresses have no Velcro or zippers to snag the fabric. 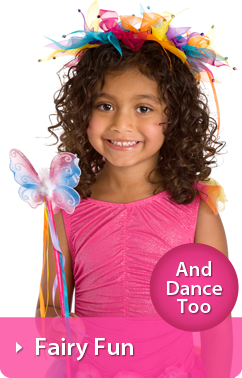 Our products are easy for children to put on and take off. There are no buttons or ties to frustrate little fingers. The dresses stretch to fit over their heads like a shirt. There is nothing more to do! Q. What are the washing/care instructions? A. We only sell items that are machine washable. Follow the washing instructions on the tag. Most will be "machine wash gentle" and line dry. A "no heat" setting in the dryer is fine as well. You want to protect the metallic trims from heat. Be sure not to wash/dry them with any other items that have Velcro. Velcro will snag the fabric. Q. How do I get the wrinkles out? A. Because your items are shipped folded, they will arrive with some deep wrinkles. So here's some options for getting the wrinkles out. The easiest way to release the wrinkles would be to just go ahead and wash the item. Let it line dry and you should have a mostly smooth dress up. If there are still a few wrinkles you can toss it in a warm dryer just for a few minutes. Be careful not to let dresses with metallic trims get too hot in order to prevent damage. This is also a nice quick option to relax the finer wrinkles from having been stored in a dress up box. You can also iron the wrinkles out. Use a warm iron and never leave it sitting in one spot. Even the sheer overlays of our deluxe dresses can be ironed on a low setting. Do NOT iron fabric that has screen printed metallic designs. Q. Will my two or three year old be able to dress up herself? A. You think like us! There are no buttons or ties so s/he should have little trouble. The dresses are very stretchy on top so she will put it on over her head just like a t-shirt. And the career costumes have easy Velcro behind the false buttons-right in front so he can take care of it himself. Q. Do I need a fullness slip? A. This is usually an answer that is specific to your purpose for the dress and your girl's preference. We usually recommend a fullness slip to any girl who likes the big puffy princess look. This is important when she is trying to "look the part" like on Halloween, in a play, or at a birthday party. Many children however prefer not to bother with the extra layers. These are the girls that wear their dresses around the house (all day), to the grocery store and even to bed! The dresses will hang fairly straight without the slip (most images show a dress with a slip underneath). Q. What is the difference between Traditional and Deluxe dresses? A. The quality of these two styles is exactly the same. The basic difference is that the Deluxe dresses have an extra layer of sheer fabric over the skirt (in various cuts) and extra details and trims over the whole dress. Some of our dresses can be found in both versions and some can't-some are only found in one category or the other. Q. Do your doll dresses fit on Bitty Baby's? A. Yes. Our doll dresses are specifically made for 18" American Girls dolls. But they are stretchy and will fit many other dolls and stuffed animals. This includes Cabbage Patch dolls, Bitty Baby dolls and Chou Chou dolls. Q. I want to order several dresses at once, how can I get the best packaged deal? A. We want you to be confident in your order and know that you are getting the best deal possible. So we've made this simple. 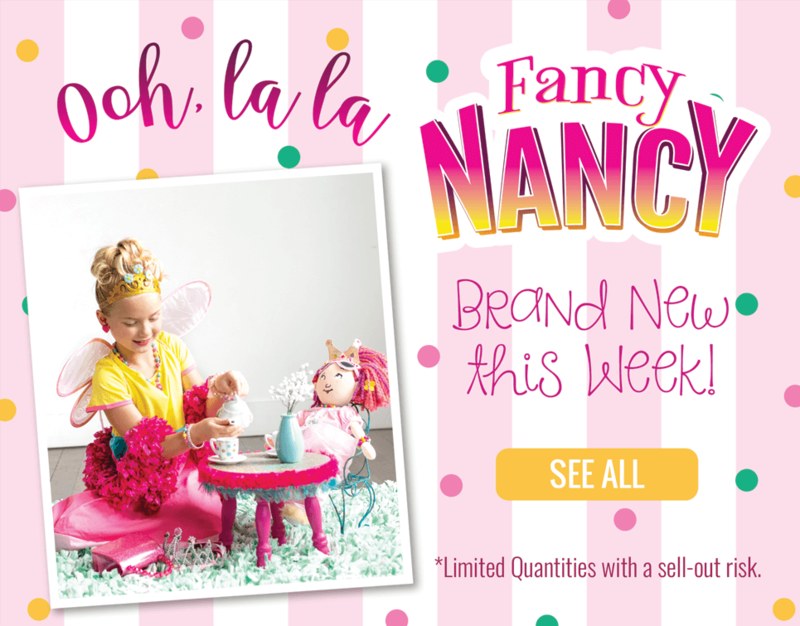 All of our "Dress Up Sets" have the same discount applied. They are all priced at 15% below the individual prices of the items in that set. We have two types of sets to consider. First is our "Create Your Own" sets. There several of these in different sizes for either dresses or capes. When you choose one of these already discounted sets, you can select from the items listed to get just what you want. The other option is to choose one of our pre-created sets. 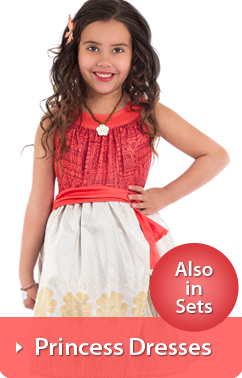 We have dress sets and ensembles both with accessories included. Q. What if I don't see a set for the items I want? A. Some of our dress ups have not been put into a "set" yet. We are happy to group items like these with others to make a set for you. Just give us a call and let us know what you'd like. We can also substitute dresses of equal value in our sets. Again, just give us a call at 800-738-8156. Q. I want to order quite a few dresses for my business, can I get a price break? A. We are happy to give you a discount for buying in bulk. Our standard discount is 15% off. But if you would need to order more than usual (about 8 or more) we can give a bigger discount. Just give us a call at 800-738-8156. Q. 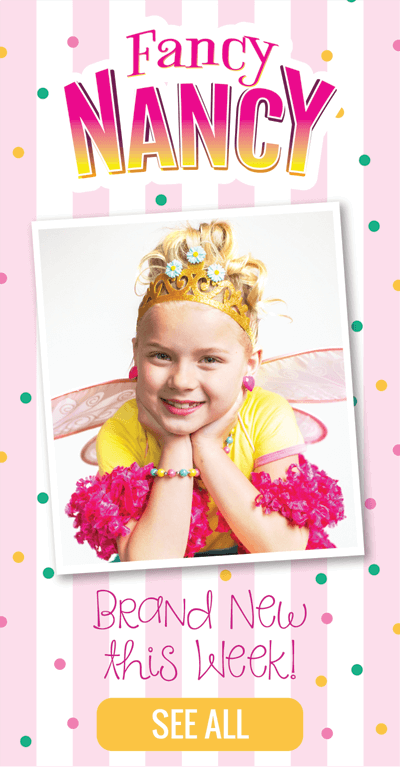 Do you offer any inexpensive items we could give as party gifts at a princess party? A. We are happy to group together any accessories on our website that you can give away as party favors. Please let us know how many you need and we can give you a discount quote. Q. Is your website safe/secure? A. Yes, our website is protected by both GeoTrust. If you are looking for the lock symbol in your internet browser, you will see it once you click "Check Out" to begin entering your personal information. A. We accept all major credit cards-American Express, Visa, Discover and Mastercard. We also offer PayPal and Google Wallet for you convenience. You may also pay with check or money order if you mail in your order. If you choose this method, please allow extra time for verification of funds. All orders will include a packing list that serves as a receipt. Q. Can you send my items to someone else? A. Yes, when you check out you will enter the shipping address first and then the billing address. The order will be sent with a packing slip that does not include prices. A. Yes we do! The cost for shipping will depend on the weight of the items purchased. Shipping costs can be viewed during checkout and before submitting payment. Q. How much does shipping cost. A. Standard shipping is Free for ALL U.S. orders, there is no minimum. International shipping costs are based on weight. We also offer other upgraded shipping options for quicker delivery. Those upgraded options and international shipments are calculated by weight. A. Your order will be processed and packaged within 0-1 business days after we receive it (or after funds are verified for check payments and PayPal e-checks). We pack and process orders placed before 2pm (EST). All orders will be shipped Standard by USPS First Class (3-5 days on average) unless upgraded. Upgrade options range from overnight to 5 days. Also, if your order is time sensitive please give us a call as we can usually speed up processing. Q. Can I make a return? A. If you need to make an exchange or return, we will gladly help. To accomplish this, please make sure the tags are left attached and the items are in resalable condition (items returned dirty or with a foul odor will only be eligible for a 50% refund). If the item meets our standards, fill out our Return/Exchange Request so we can be expecting your package. Once we receive the item(s) a refund will be issued for the cost of the item(s). We cannot refund upgraded shipping charges. You are responsible for shipment back to us. In the case of an exchange, we will send your exchange to you at no charge.